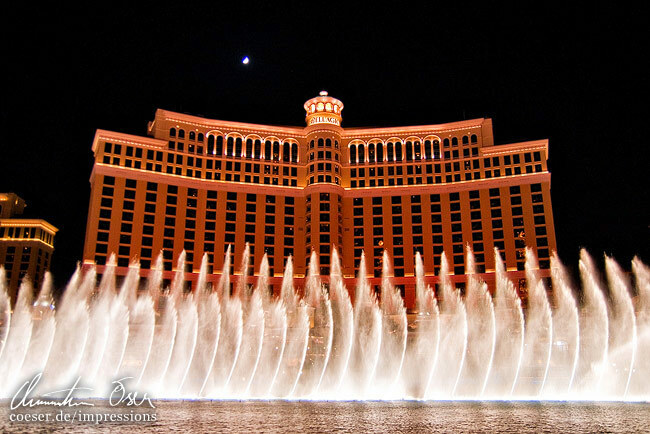 The Fountains of Bellagio in front of the famous hotel complex. Der Springbrunnen des Bellagio vor der gleichnamigen Hotelanlage. 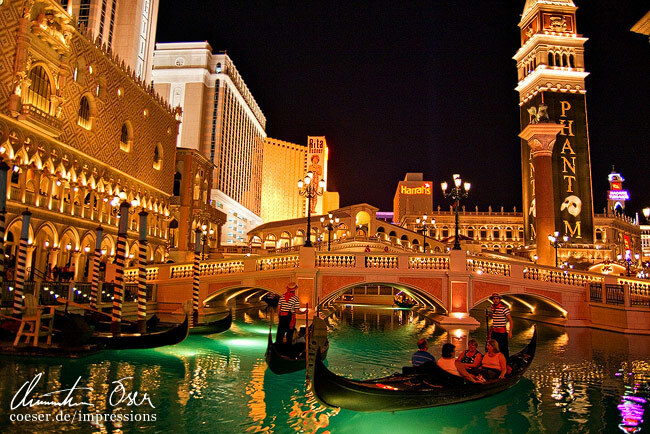 Singing gondoliers in front of the Venetian Resort Hotel Casino. Singende Gondolieri vor dem Venetian Resort Hotel Casino. Entrance to one of dozens Casinos in Las Vegas. 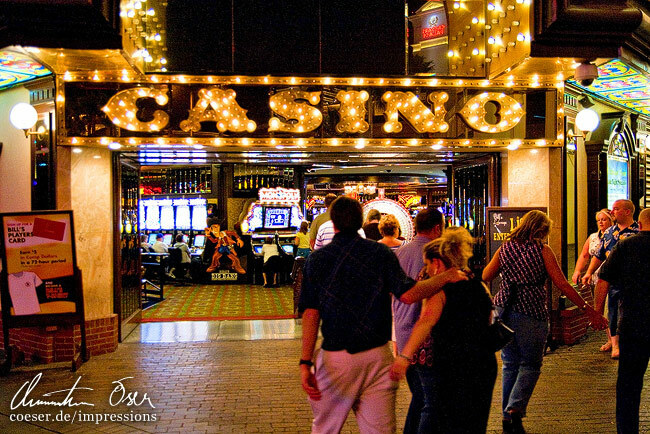 Eingang zu einem von Dutzenden Casinos in Las Vegas. General view of the New York - New York Hotel and Casino. 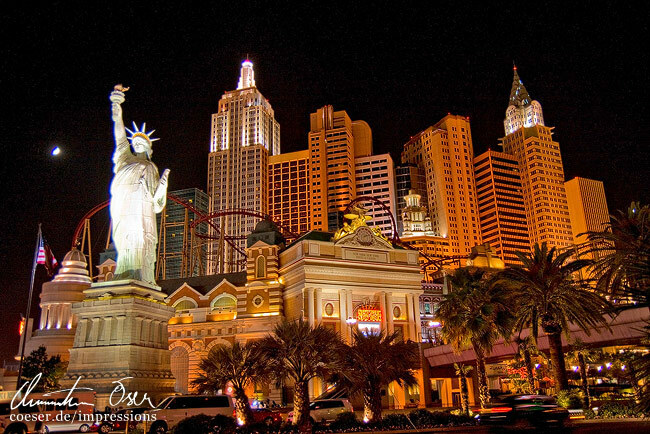 Ansicht des New York - New York Hotels und Casinos. 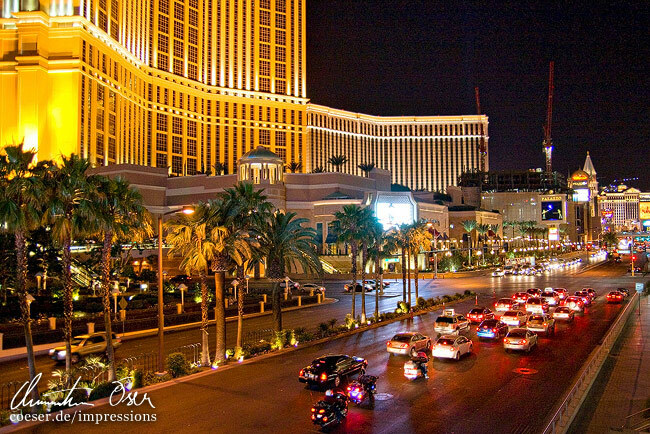 Night view of the Las Vegas Strip. Nächtliche Ansicht des Las Vegas Strip. 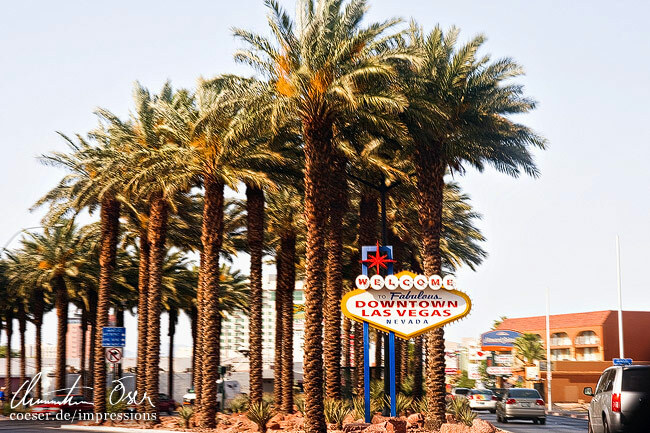 The famous "Welcome to fabulous Downtown Las Vegas" sign. 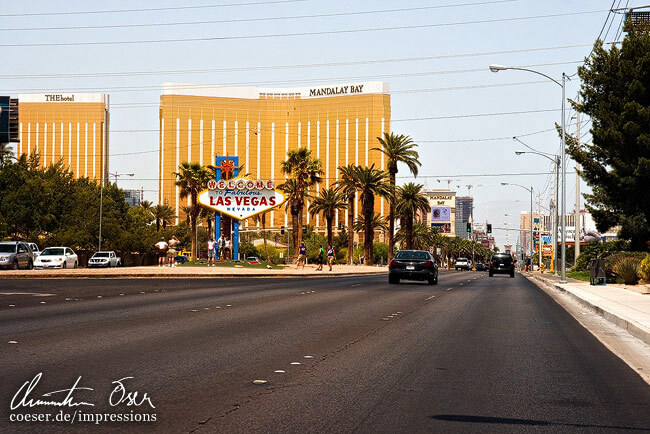 Das berühmte "Welcome to fabulous Downtown Las Vegas"-Schild. The Mandalay Bay Hotel shortly after the beginning of the Las Vegas Strip. Das Mandalay Bay Hotel kurz nach dem Beginn des Las Vegas Strip. 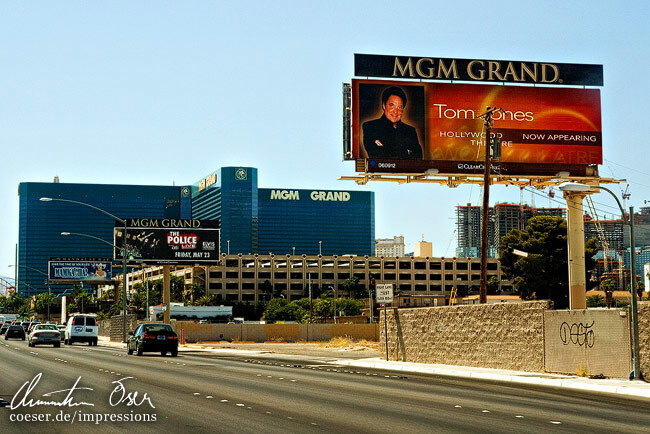 A Tom Jones advertising sign in front of the MGM Grand Hotel. Eine Tom-Jones-Werbetafel vor dem MGM Grand Hotel. A Boeing 777 of Korean Air on final approach. 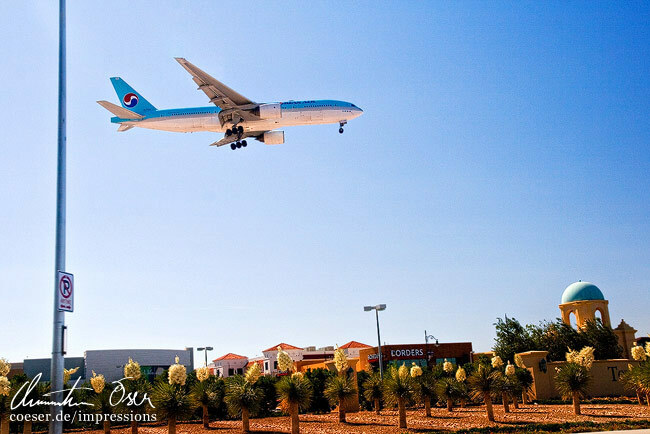 Eine Boeing 777 der Korean Air beim Landeanflug in Las Vegas. 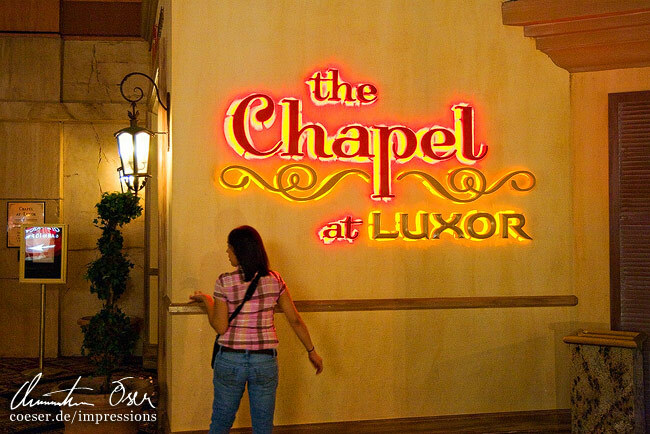 Wedding chapels whereever you look in Las Vegas. Kapellen für Blitzhochzeiten, wo auch immer man hinblickt.